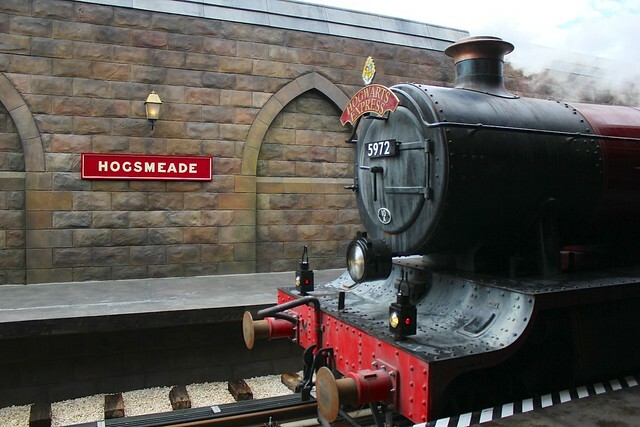 Universal Orlando will soon be bringing “Harry Potter” fans on the ride of a lifetime, offering trips aboard a real-life version of the famous Hogwarts Express train. In the films, the Hogwarts Express transports students from their Muggle lives to the Wizarding World en route to begin school at Hogwarts. 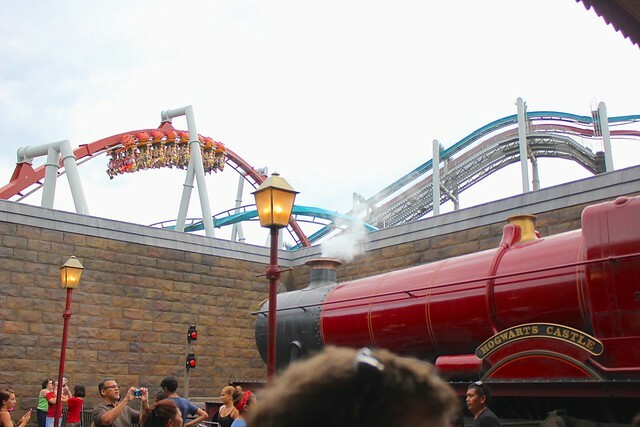 At Universal Orlando, this trip is recreated using special effects and exciting visuals aboard the train that connects the Universal Studios Florida theme park to Islands of Adventure. 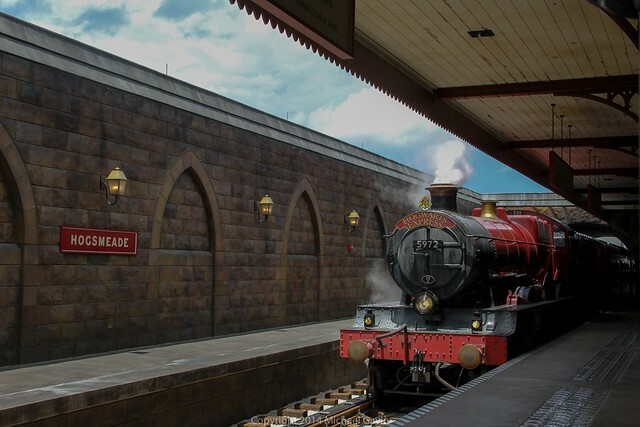 When the Hogwarts Express officially opens on July 8, 2014, using park-to-park tickets guests will be able to board the train at either at the Hogsmeade Village station or King’s Cross Station (at Diagon Alley) to take the trip between the parks. 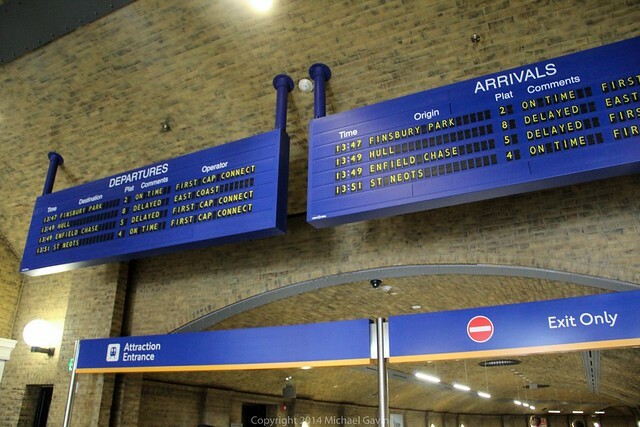 The videos below offer a full look at both directions, starting from King’s Cross to Hogsmeade and vice-versa. Warning: Spoilers aplenty ahead! 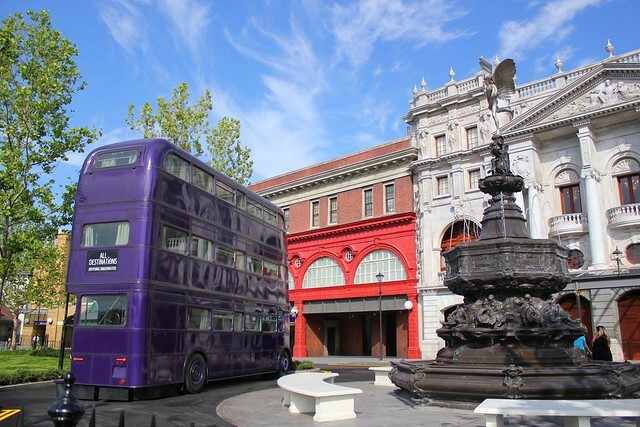 It makes sense to first travel from the new London section of Universal Studios Florida to the original Wizarding World of Harry Potter in Islands of Adventure, as that is the journey Harry Potter took in the films en route to his Hogwarts school. 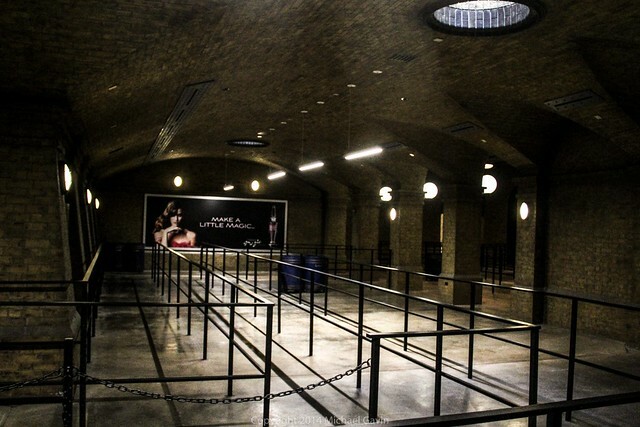 The convincing London embankment becomes even more realistic upon entering King’s Cross Station, a near replica of the real life location. 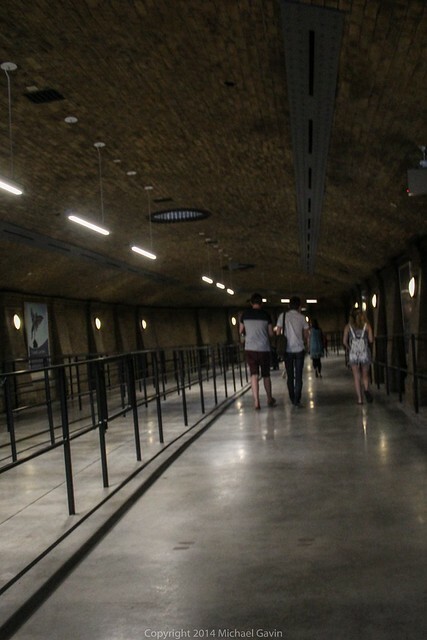 Entering King’s Cross, guests pass through a series of passageways and tunnels with mock train announcements playing along with sound effects making it feel just like stepping into an actual train station. 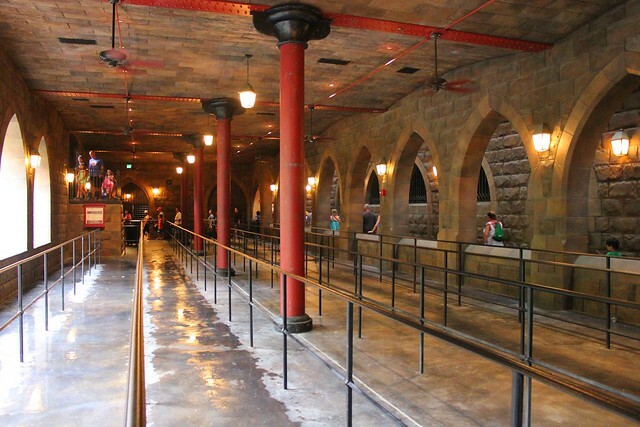 The extensive Hogwarts Express queue winds and winds with very little entertainment to be found. Stacks of suitcases and a few wall signs are all that guests will have to look at while waiting to board. 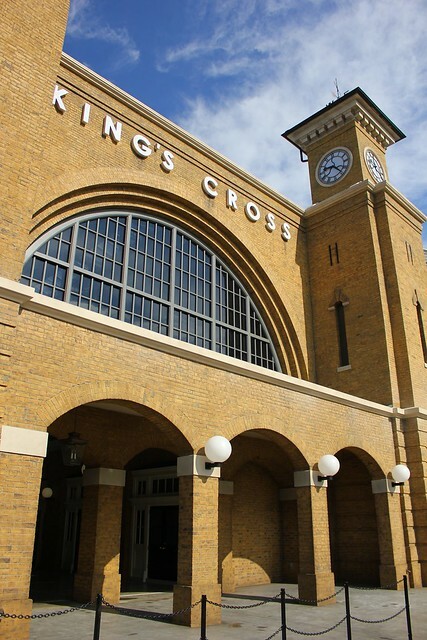 Of course, King’s Cross is located in the Muggle world. 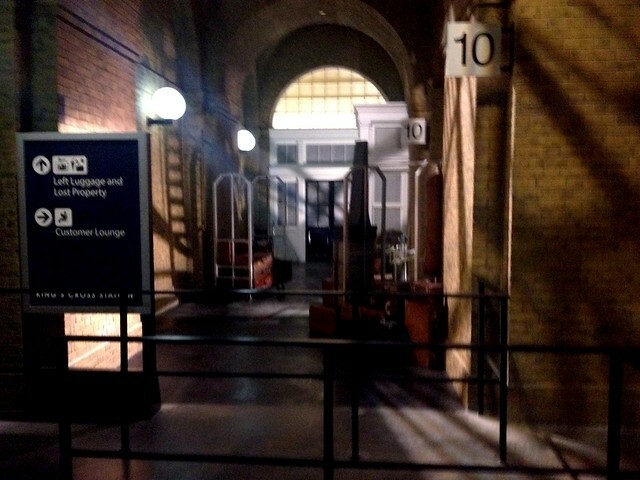 So to transition to the Wizarding World, guests must pass between Platforms 9 and 10 to reach the famed Platform 9 3/4. This magical moment is achieved by some simple special effects allowing onlookers to see other guests seem to run through a brick wall. The actual act of passing through this area isn’t anything special, simply walking down a hallway between the “9” and “10” signs. But it does make for a great photo or video opportunity for friends and family to capture from around the corner. 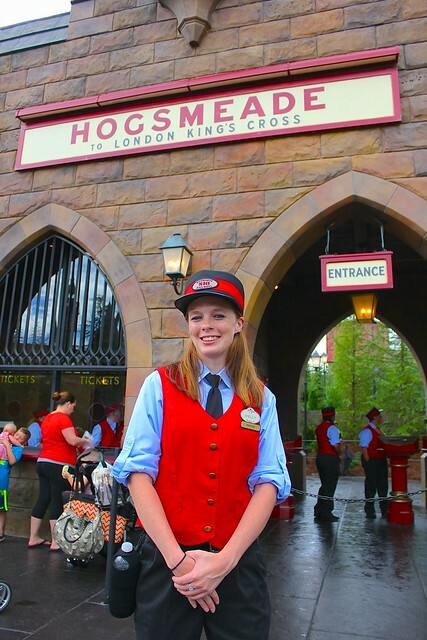 A Hogwarts Express conductor is stationed nearby to ensure everyone understands how to properly view the moment. 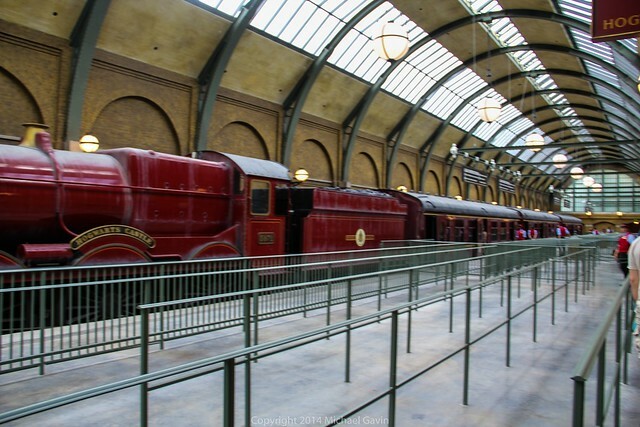 Stepping onto the platform and seeing the Hogwarts Express for the first time is exciting, with the train fully exposed in the giant space, steam bellowing from its engine. 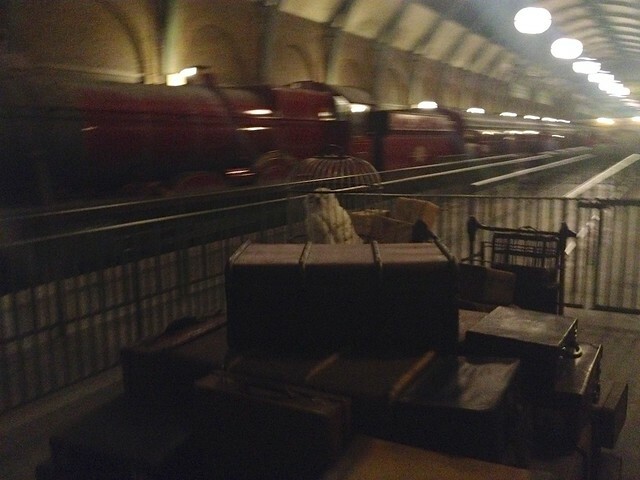 There’s even Harry Potter’s owl – Hedwig – in a cage alongside luggage, waiting to be loaded. Guests are quickly placed in to groups of no more than 8, each escorted by conductors into their own cabins. On the other side of the track, the Hogsmeade Station is perfectly squeezed outside the original Wizarding World, with architecture that matches the area and wide open spaces throughout the queue. Seeing the train pull up into this station is more exciting than at King’s Cross, as it enters forward rather than backward. 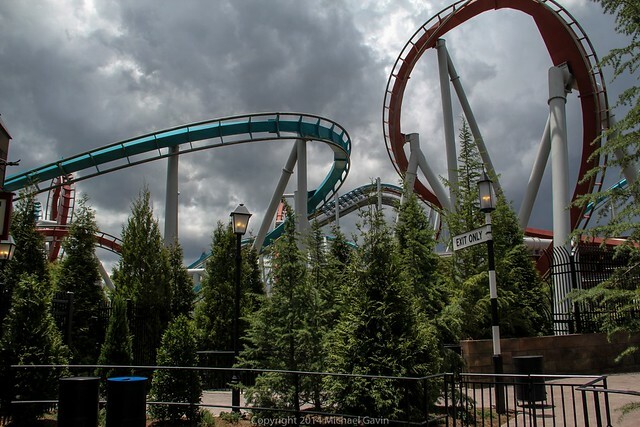 Though it is a little odd to see the Dragon Challenge roller coaster soaring overhead. 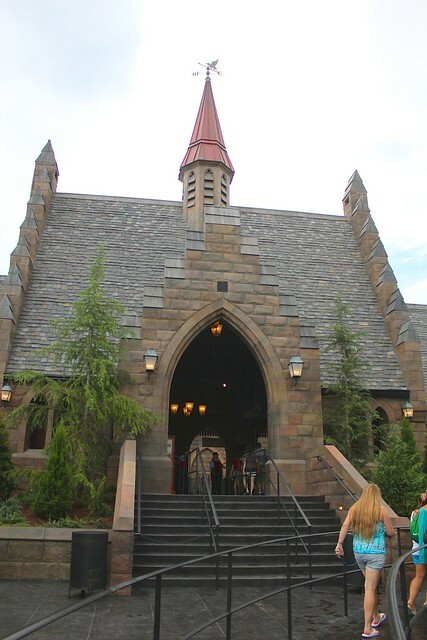 The exit of Hogsmeade Station offers an additional familiar “Harry Potter” element, an animated carriage pulled by Thestrals – the skeletal horse-like creatures that can only be seen by those who have witnessed death. Cabins look just as they appeared in the “Harry Potter” films. There are individually marked places for up to 8 people to comfortably be seated inside. 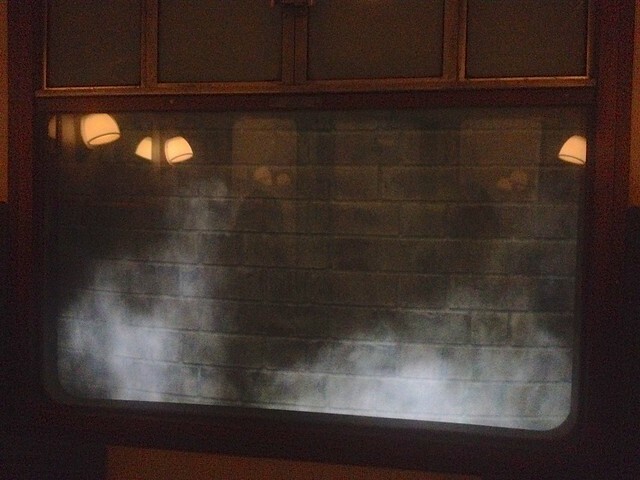 Small lighting and pictures adorn the walls of the cabin and a large window faces outward, initially only offering a view of the brick wall and steam wafting by. 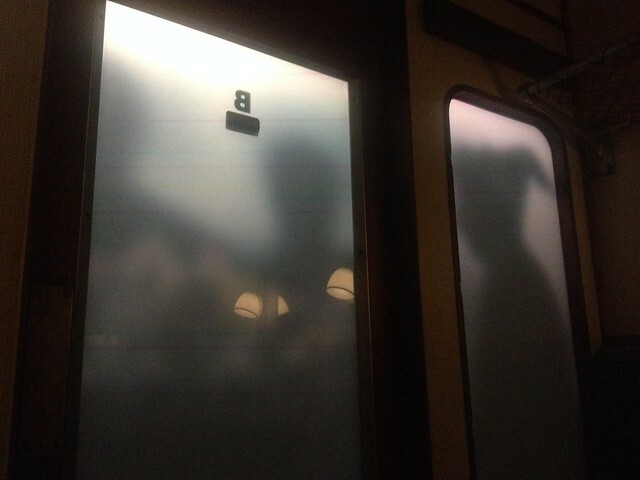 The frosted doors slide shut just before the train leaves the station, enclosing passengers inside their cabins. 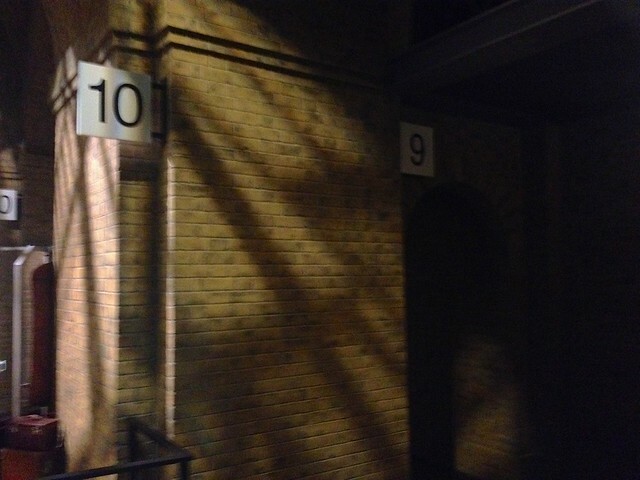 These doors, along with the windows, are where the show takes place during the roughly 4.5 minute ride from one side of the Wizarding World to the other. The ride is packed with entertaining, exciting, thrilling, humorous, and sometimes scary visuals and moments. All of the action takes place via screens, though there is some minor movement to the cabin themselves. 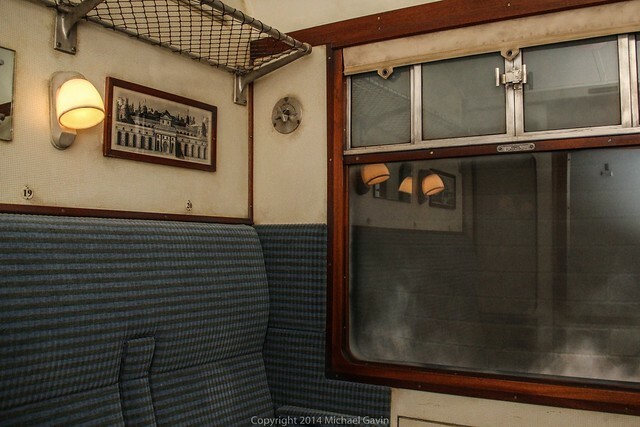 The cabin window offers views of London landscapes, familiar buildings like Hogwarts castle and Malfoy Manor, and plenty of fly-by characters including Hagrid, the Weasley twins, Buckbeak, and Hedwig, plus some other brief occasional cameos. The view out of the window is not 3D, but does have some perceived depth to it due to the curvature of the edges of the display, making the journey seem rather real. 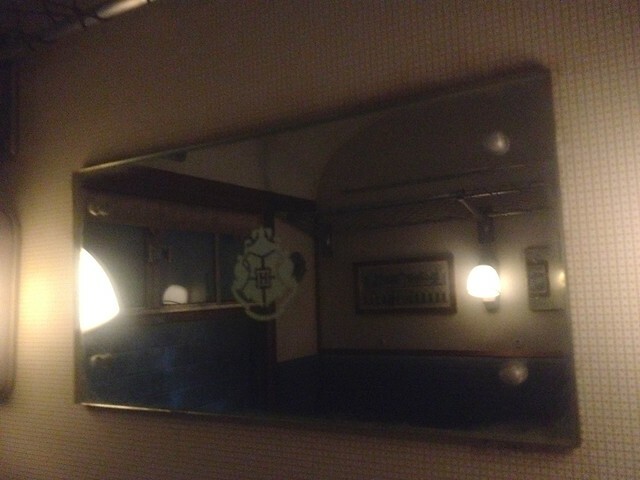 But by far the more entertaining side – surprisingly – is the one with the frosted glass. 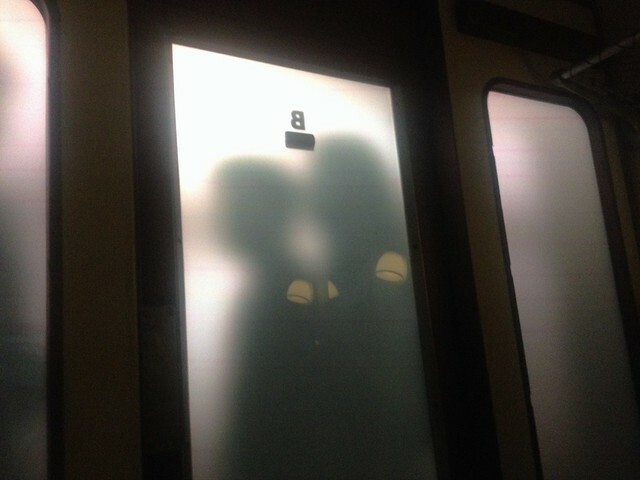 Silhouettes of figures appear quite regularly throughout the ride and coupled with dialogue makes guests really believe like there are people standing outside. And not just any people – Harry, Hermoione, Ron, and other familiar characters make appearances with rather amusing dialogue. 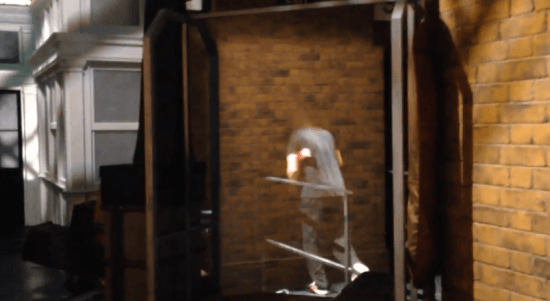 This is also where the single most convincing effect takes place of either direction’s journey, when Ron Weasley presses his face and hands up against the glass to try to look inside. 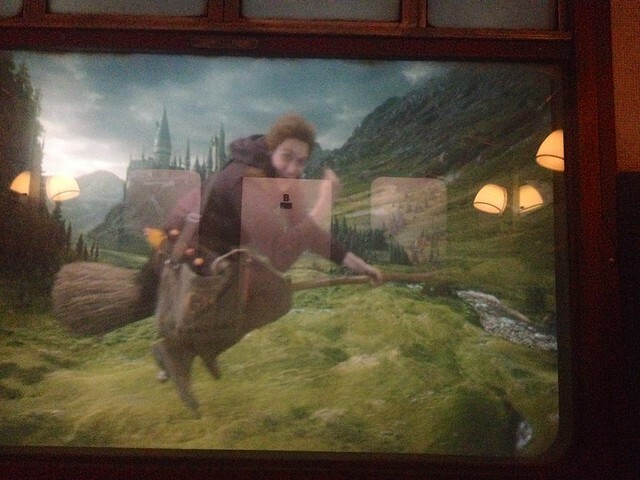 It is shockingly real, as if Rupert Grint were really standing outside. 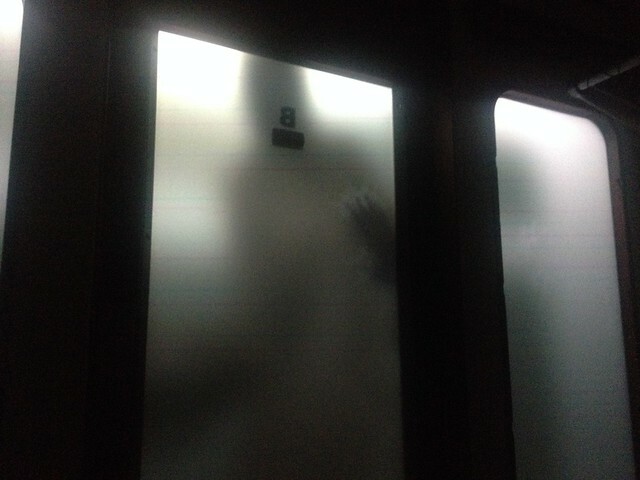 But there are creepy moments too, like when Dementors pass through frosting the glass with every touch. 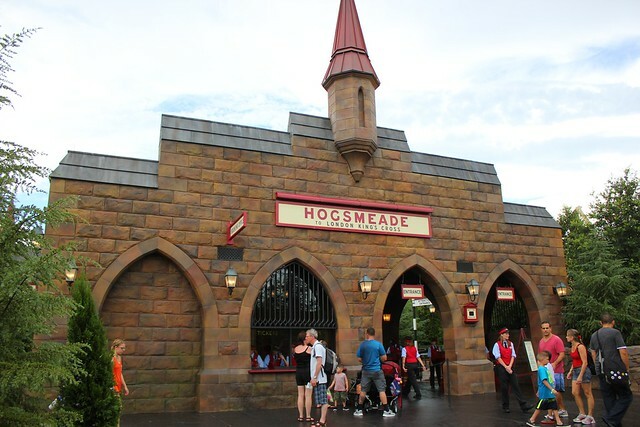 The Hogsmeade Station is situated just outside the footprint of the Dragon Challenge roller coaster, made to fit into the original Wizarding World of Harry Potter. 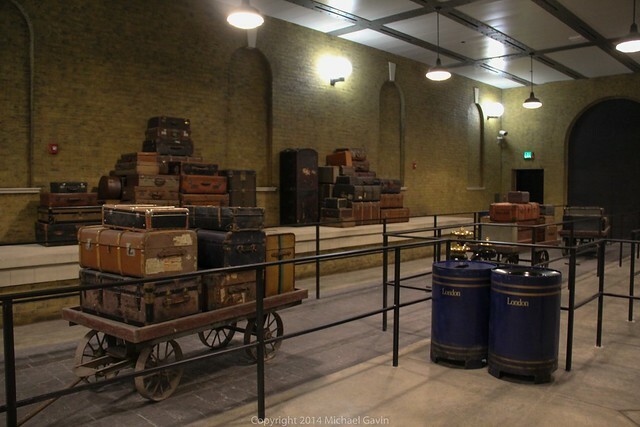 Its open air loading area offers outstanding views of the Hogwarts Express pulling in. 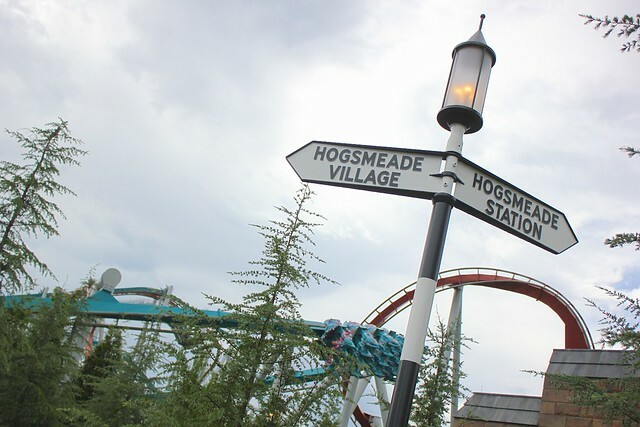 Some will prefer the ride to Hogsmeade for its increased spookiness while others will prefer the ride to Diagon Alley for its humor. But both are highly entertaining and create an outstandingly unique theme park experience. So, was it just a rumor that there would be multiple combinations of scenes on the ride, or is that maybe a future looking idea? Not a rumor. It’s something they’re planning down the line. For now, it is the same show every time. 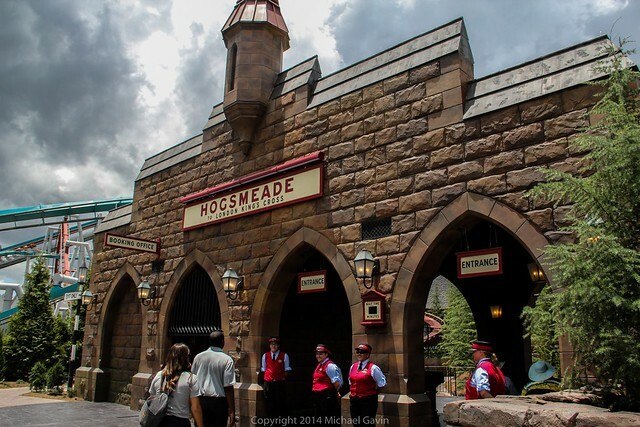 Did you note any express lines at the station in Hogsmeade or Diagon Alley? I did not, but I sped through the empty queue pretty quickly. Is there or is there not a hologram wall to go through between 9and 11? I was looking foreword to that. Thanks for all of the photos. We have plans to go this September – simply cannot wait. So Diagon Alley is in Universal Studios not Islands of Adventure? 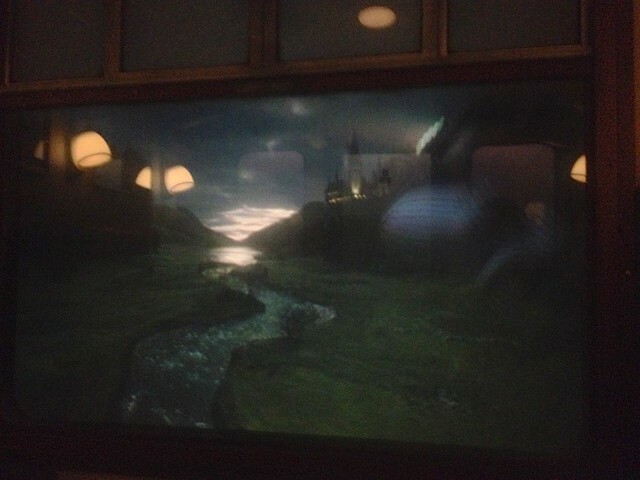 I’ve been under the impression the train ride was all a required part of getting there from the Hogsmeade area. That’s good to know I would’ve wasted my money on a Islands of Adventure ticket. It’s my understanding you will have to have a park-to-park ticket to ride the train. That is correct. Diagon is part of USF. To ride the train, you will need a 2-park ticket. 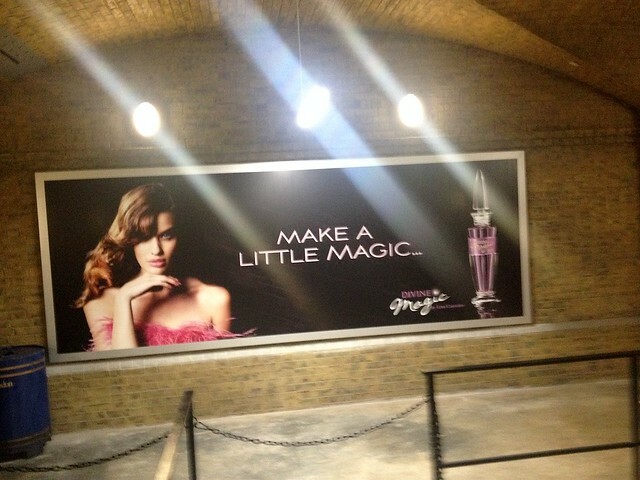 Just pointing out that the “mock perfume ad” is from Harry Potter and the Half Blood Prince. Nothing important. Just a trivia. Any word on accessibility? I know Universal is notoriously restrictive. 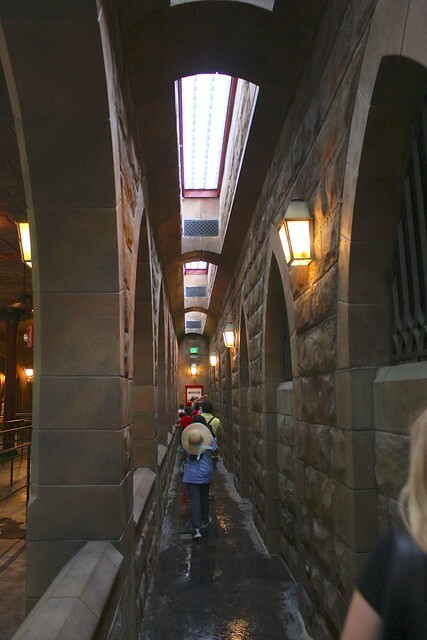 The hallway getting onto the Hogwarts Express is definitely a tight squeeze. I’m not sure of the details though. I know the ride is “all ages” but will it be possible to pack a stroller with you on the train? 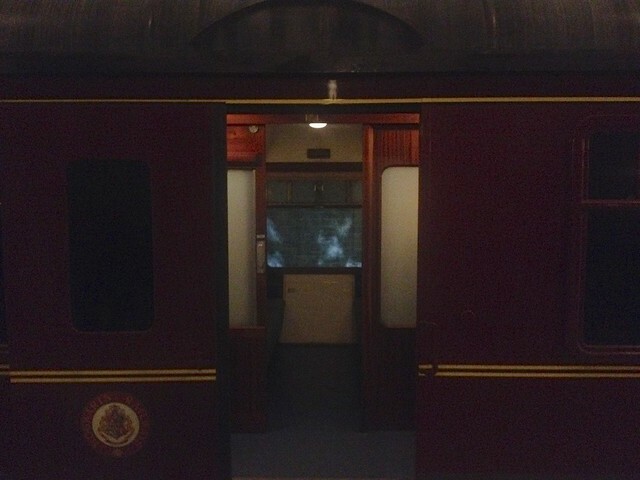 The Hogwarts Express has a handicap cabin, so you can take the stroller in there. Imagine a kid goes to Universal for the first time. 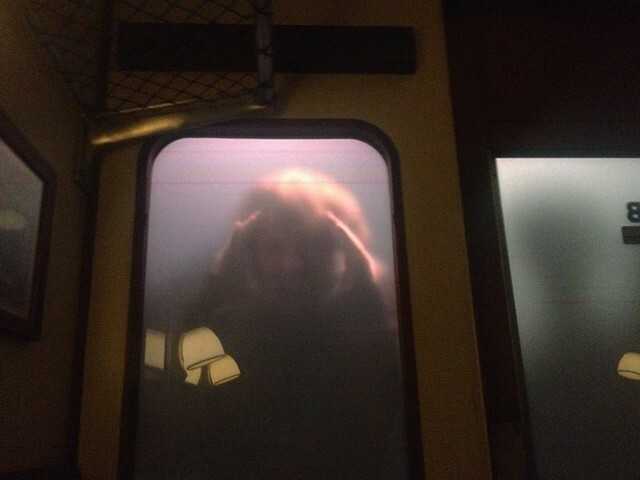 Eventually, he ends up on the Hogwarts Express expecting just another ride. However, when he gets off, he will be astounded to be somewhere else entirely…right in the middle of Harry Potter. 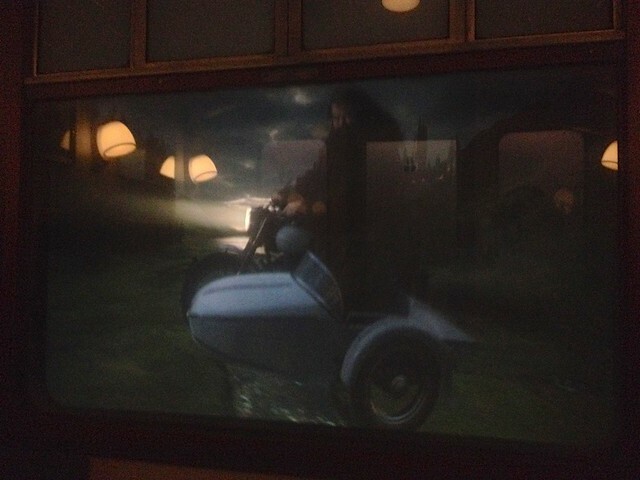 It’s a brilliant and well thought out scenario that eclipses any other movie inspired ride. I can’t wait to go! I have reservations for an on-site hotel, so I get into the park one hour before everyone else. 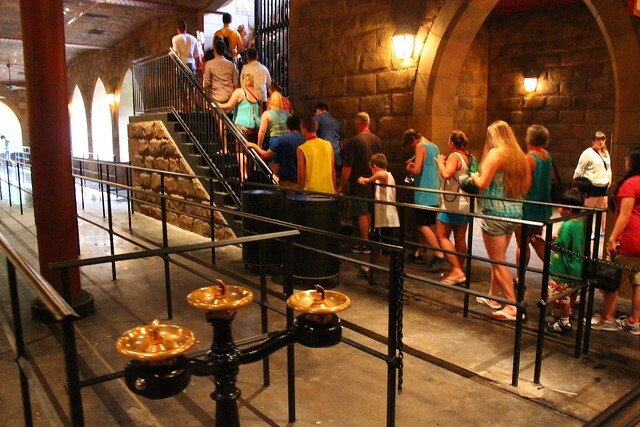 Is the Hogwarts Express open before the park opens to everyone?